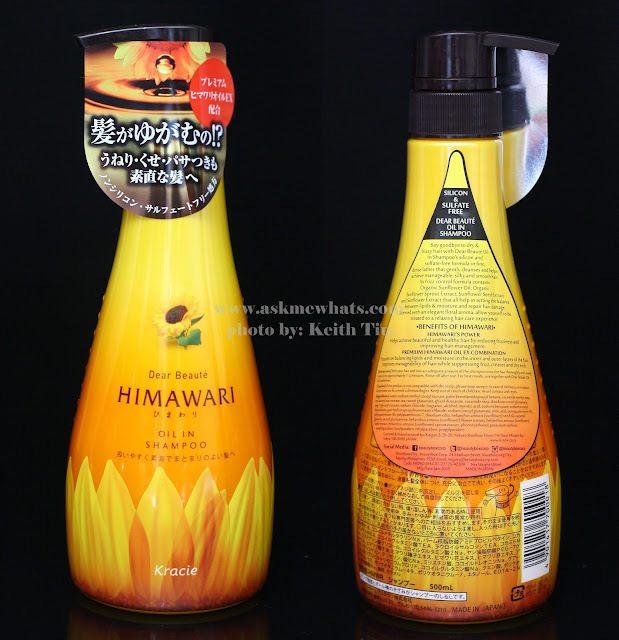 So you've probably seen or heard about Dear Beaute Himawari Oil In Shampoo and Conditioner from beauty blogs or you've probably seen them on shelves at your favorite Beauty Bar Stores. I've received this set a month plus ago and here I am ready to share my thoughts after using both Shampoo and Conditioner for a month! But, my worry about seeing "OIL" in both my shampoo and conditioner gave me a bit of scare! With the ever changing and crazy cool/warm/hot/humid weather, I can't imagine how "greasy" my hair will look! Will this set turn me into a grease-ball head? Silicone-free and sulfate-free that can help repair damaged hair leaving hair soft and manageable. Judging by the size and the price, I was jumping for joy to find an inexpensive Sulfate-free hair care product! 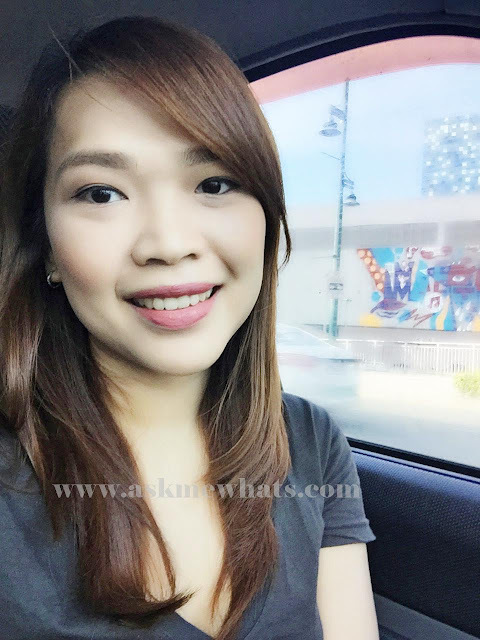 As you know, if you have chemically treated hair especially those who went through rebonding, keratin treatment and hair coloring --- YOU NEED SULFATE-FREE hair products to keep your hair color looking fresh and less damaged. I find using just the shampoo can actually be enough let's say on days that your hair is extremely greasy! The shampoo itself leaves my hair soft, smooth and easy to comb! Both the Shampoo and Conditioner has the same scent (faint sunflower-y scent) that would go away after an hour or two. Now this is not silicone-free but is sulfate-free! Silicone isn't bad because it helps keep hair smoother and shinier. This product is surprisingly "lightweight", my hair do not feel heavy or greasy after use even the day after! It helps keep my hair even softer than just using the shampoo alone so after testing both shampoo and conditioner in various weather condition, it is safe to say, it won't turn my head into a grease-ball. Thankfully, both shampoo and conditioner comes with a pump so you can actually reuse this plastic packaging! My hair is extremely dry with all the heating tools I use, so using Himawari Dear Beaute Shampoo and Conditioner can actually "liven up" my hair color at the same time, my hair doesn't look as dry as before. The only downside I may have to add is for those who like to style their hair! Curls, waves or other hairstyles won't last long without the help of a mousse or hairspray if you use Himawari Oil In Shampoo and Conditioner! It makes sense as most curls won't last long if you use hair treatment or intense hair conditioning products prior to styling. So if you plan to attend an important function and you need to have your hair styled, maybe, skip the conditioner or use other brands of shampoo and conditioner just for a day and you'll be fine! 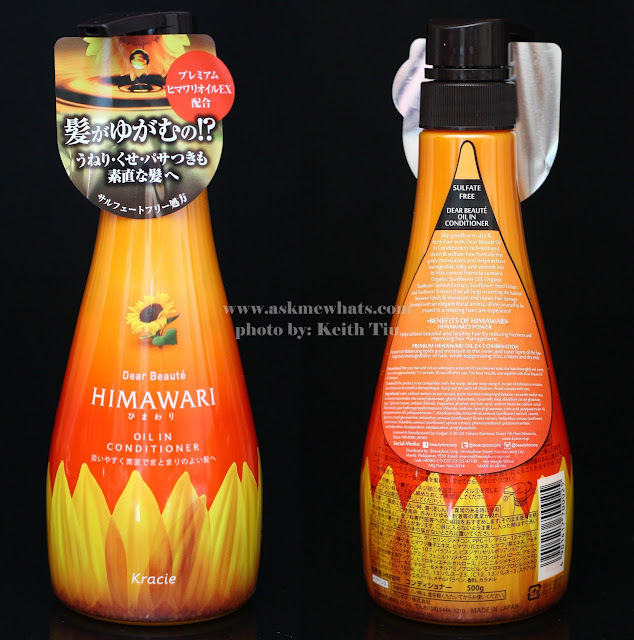 Himawari Oil In Shampoo and Conditioner can be purchased at Beauty Bar (SM Mall of Asia, Trinoma North Mall, Shangri-La Plaza Mall, New Glorietta, Greenbelt 5, Rockwell Powerplant, Century City Mall, Gateway, Lucky Chinatown Mall, Robinson's Place Midtown, Eastwood Mall, Robinson's Magnolia, The Podium, Robinson's Galleria, Alabang Town Center and Central Square Building BHS Central). Have you tried Dear Beaute Himawari Products? By the way, I plan to color my hair again, any hair color suggestions? Do you know if Himawari is tested on animals? I'm trying to find a cruelty free shampoo and conditioner in Japan. Japanese companies don't seem to display this information on their websites. Any suggestions appreciated. I can attest that they don’t test this to animals. Japan is a country where they value animal as they value their kids. And testing it to animals is again the law here in Japan.